ABRIXAS – A Broadband Imaging X-Ray All-Sky Survey – re-entered the atmosphere on October 31, 2017 after more than 18 years in orbit. 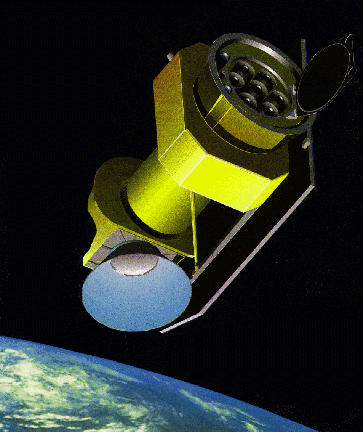 The 550-Kilogram satellite, built by OHB Systems for the German Aerospace Center, launched in April 1999 atop a Kosmos-3M rocket into an orbit of 550 by 600 Kilometers to begin an all-sky survey for X-rays across a broad energy range of 0.5 to 10 kilo-electronvolt to discover more than 10,000 new X-ray sourvey. Shortly after launch, the spacecraft’s battery was overcharged and completely failed. This prompted mission teams to study workarounds and communicate with the satellite when its solar arrays were generating power. However, three days after the craft’s launch, attempts to make contact with the craft failed, rendering the $20 million spacecraft a complete loss.